Hydro Construction Products' range of heavy duty stainless steel drainage channels deliver world-class quality and functionality suitable for Australia's first and biggest fully integrated convention, exhibition, and entertainment centre: the ICC Sydney. For 15 years, the Australian-owned and operated company have continuously provided water management solutions for a broad range of residential, commercial, and civil engineering works. 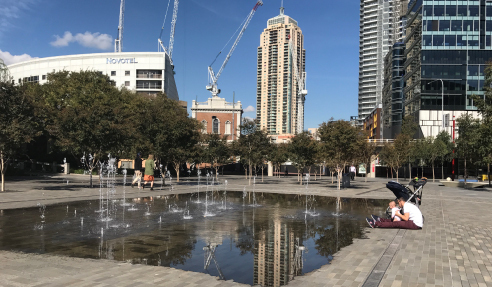 As part of a broader AU$3.4 billion redevelopment of Darling Harbour, ICC Sydney is a joint project through a Public-Private Partnership with the NSW Government and Darling Harbour Live, which consists of Lend Lease, Hostplus, AEG Ogden, Capella Capital, and Spotless FM. ICC Sydney formally opened doors on 12th December 2016. 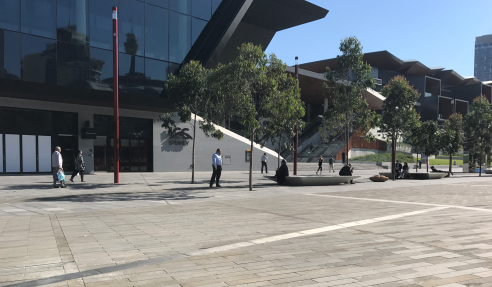 As Australia's premier convention, exhibition, and entertainment precinct, the development called upon industry specialists to ensure world-class performance, right down to its core foundation. In partnership with Hanna Bros, Hydro supplied the stylish range of heavy duty stainless steel drainage channels with architectural grating and high-flow ductile iron grating for the surrounding road structure. Hydro's heavy duty stainless steel drainage channels were employed to give the perfect balance of aesthetics and functionality. Wedge-wire gratings are fabricated from high-performing #304 and marine grade #316 stainless steel, widely known for its superior weatherability and corrosion resistance. The excellent water flow systems and design of the units provide effective water flow through the drain while preventing large debris from getting into the system. For more details on heavy duty stainless steel drainage channels, visit www.hydrocp.com.au today.